I flew from Alaska to San Diego to have a lump removed from my breast and at the same time have a blepharoplasty and breast reduction/augmentation. I massively researched who I could find to take care of me and was so glad I chose Assisting Hands Home Care. I was really nervous about the quality of care and trust and AHHC more than met my high expectations. Jennifer was so wonderful, kind and attentive to make sure everything I needed was taken care of, including having my dogs walked at the hotel I was staying at. Nenebeth was my nurse and is an angel on earth. She is kind, gentle and sweet. She took such incredible care of me and even walked my dogs when I couldn’t get out of bed for a few days. Compared to what my plastic surgeons office wanted for their after care, AHHC was way more affordable and my experience of their service was outstanding. If I ever come back down to have anything else done, I’ll definitely be using AHHC. The women who run this place and take care of you are the kind of women you want as friends. They are genuine and sincere and really care about your well being – AHHC does not feel like a corporate profit monger only interested in how much they can get out of you, they feel more like your favorite aunt or grandma taking care of you when you were sick. The staff and caregivers at Assisting Hands in San Diego are fabulous. They are fabulous for many reasons. They are true professionals, and they truly care about their employees, clients, and patients. They especially care about making relationships work, between the families, the patient and the staff at the agency. We have had some bad experiences in the past with other caregiving agencies, and we finally found Assisting Hands who goes the extra mile. We came from an agency who was never great with communicating with the family and made the family feel guity if we didn’t chip in if they couldn’t find a caregiver. They almost expected us to drop everything and go fill in for the lack of caregivers that they had. . . . then we found Assisting Hands!! We interviewed several other agencies, and decided to go with AH. Jennifer Smith the Client Relations Manager, who initially met with us over a year ago, told us the truth. She wasn’t going to blow smoke, she was going to be as honest as she could. She said that she wasn’t sure if AH was ready to take on mom’s case. Mom is high maintenance, with all her medical issues, and we (the family) are fairly high maintenance as well. We expect a lot, and mostly expect the staff and caregivers to help us keep track of a lot of details, and be an extension of our family. We can’t be there at all times for mom, that’s why we have Assisting Hands. Mom has had 24/7 care, 2-12 hour shifts for several years, and we were looking for more consistency and with the hope of spending less money, but having at least 2-3 24 hour live in caregivers, in addition to the rest of the shifts being covered by 12 hour caregivers. The 12 hour caregivers that we have on mom’s case from AH are truly some of the best we have had, for being as young as they are, they are skilled, and excellent “nurses” to mom, and keep her safe and healthy. Jennifer told us they had 24 hour (live in) caregivers, which could save us alot of money per month. We have found that personality matchs are a bit more difficult than we realized, but we are still looking for consistent 24 hour live-ins, to save us the money we were hoping to save, but I know it’s in the near future. They are honestly working on recruiting more 24 hour live-in’s, however our 12 hour girls are holding the fort down, so to speak. We’d like to have a nice mix of both 12 and 24 hour girls. Jennifer has built a relationship with us, my husband and I, by having coffee, and lunch several times to talk about the “switch over” to make sure they were prepared for us, and we had all our questions answered before we took the leap. Our “beef” with the other agency was that we never had excellent customer service from their staffing agents and they never ever wanted to go the extra mile. They lacked communication, and the more business they lost from us, the more they seemed to not care about the loss of business, which proved to us they do not care. We wanted to make sure if we switched agencies, that the new agency had plenty of caregivers for back ups, and were up front with us, and over-communicators. My mother is 82 years and has alot of medical issues, some minor, some pretty major, but alot to keep track of, and alert the agency and family. We have found that the Assisting Hands girls are caring, intuitive, safe, quiet, sensitive, intelligent, assertive, and know when to alert family members of potential hazards (falls, high or low blood pressure, when mom isn’t eating, or when she has confusion). The caregivers are trained and skilled, and often times they have more licenses than what they are actually using at the time of caregiving. Some of our caregivers have been LVNs, so they are truly skilled. My comfort level has increased dramatically as we have stayed with Assisting Hands now for about 9 months. Jennifer Smith, the Client Relations Manager, is one of the main reasons we have stayed with AH, in addition to the rest of the staff, Jane, Nina, and Kristina, and the amazing talented caregivers. Jennifer and her team, builds and maintains relationships and checks in with us regularly to ask how it’s going with mom and the caregivers. They care, listen, and are completely honest with us, whether they are able to do what we want, or not. We are looking forward to a long standing relationship with them, where we constantly communicate about issues, or process improvements, with the ultimate goal in mind to keep mom safe, happy and not allow her to fall. I would be willing and able to give them a verbal or email reference to anyone who is checking out Assisting Hands for their own parent. Please contact me or let me know if I can be of further help. My mother is 88 years old and was having an extremely difficult time with her blood sugar. It was up over 300, she was sleeping an inordinate amount of the day, her mentation was fuzzy, and she was simply unable to function well enough to safely be on her own. I called Jennifer: and I was truly touched and astonished at her empathy, her hard-headed understanding of my mother’s character and problems, and most of all, her caring attitude and intelligent commitment to tailor care to my mother’s particular needs. The entire team was spectacular, from Jennifer who visited my mother just to see what her needs were, to [Arlene] who came out to see if my mother had other, less easy to spot problems. They were constantly in contact with me and thoroughly reliable. [Assisting Hands San Diego] implemented and supervised my mother’s care through [the La Jolla branch] due to [my mother’s] location- gratis! Now I’ve NEVER NEVER heard of a company that cares so much about their patients that they would do work of this kind for nothing: but that’s exactly what they did. Jennifer took care of my mother because it’s a passion with her to help people like my mother. And as I said, they not only have passion, they are immensely capable and thorough in their assessment of what my mother needed. My mother has started taking insulin, so her condition has improved dramatically. But should she need more care in the future, I will call on Jennifer and her team: I’ve never dealt with such standup people who really care about their clients. I can’t say enough good things about them! Wow… I rarely write reviews, but this group of people deserves more than 5 stars! They are the most compassionate, capable, and reliable team I’ve ever had the pleasure of working with, and their patience knows no limits. I would give Assisting Hands 100+ stars if that were possible. Finding these wonderful people to take care of my very special sister and husband has been a real Godsend. From the initial phone call, to meeting with Jennifer, to the care provided by NeNe, to the overall excellent service received — Assisting Hands is #1. These folks truly understand the needs of our loved ones and make every effort possible to assure that everything goes well and stays well. My sister and her husband can now go to the store, go to the doctor’s office, go for a walk or a drive, have their lunches made, sit down and talk to someone who cares, play scrabble, have their home cleaned, get their prescriptions refilled on time, and more. The most important recommendation I can make is to say that my sister and her husband are treated with dignity and respect and are cared for like “family.” They love their caregiver and so look forward to each day NeNe visits. My husband and I now have more time to do more things with each other and never, ever worry about traveling like we used to. Gold stars all around for Assisting Hands. I wanted to express our heartfelt thanks for your help in getting Gerry setup with a caregiver on such short notice. Gerry went in to the hospital and was there for over a week before being released. The family was a bit panicked about how we would be able to handle care once she came home. I cannot express how appreciative the family was Jennifer that you took our call on that Thursday and were able to speak to all the family at one time and go over what Assisted Hands could provide in care for Gerry. The fact that you were able to meet at Gerry’s home the following morning and make the family and Gerry feel secure in knowing we would have a caregiver there the next morning to start services and help out was a huge relief to all of us. You were so professional in handling the home safety inspection and going over all the paperwork required. It was an easy and seamless process in a very emotional situation. Gerry will be moving to a wonderful assisted living facility, which we feel is best for Gerry and will help her retain some independence, but allowing her help with her medications and other needs as well. The family again wants me to thank you for all the help you provided navigating through this difficult transition and thank Assisting Hands for the wonderful and professional service. As a real estate professional in Ramona, I can attest to how important referrals are to any business. I would HIGHLY recommend Assisting Hands to anyone who mentions they would have the need for your services. I only provide referrals when I have had the opportunity to use the service myself, and would not hesitate in providing a strong recommendation for Assisting Hands Home Care. I was commuting between Los Angeles and San Diego to help my parents when I finally contacted Assisting Hands in March of 2012. They responded quickly and the caregivers sent were very caring. My parents were very resistant to having someone come into their home, but Assisting Hands was very accommodating and worked with us so my parents could see how their services could help them. My parents only used them for a short while, but we were very happy with them. I would not hesitate to contact them again when we need help. My daughter made a call the afternoon on Labor Day of this year to Assisting Hands Home Care after finding them on the internet, and was so happy that Jennifer answered the phone. I had a major operation 8 days prior, and had spent just one night in a “rehab” place, and I didn’t want to stay there a minute longer, but they wouldn’t let me go back home unless I had 24 hour live-in care. Jennifer came down to my home that afternoon and met with us, assessed what I needed and within 2 hours we had a caregiver, Robert at my home. Robert was conscientious and very responsive to my every request for help. Robert was with me for several weeks providing 24-hour care in my home, and I would recommend him (and Assisting Hands) any day and any time! The staff at the office were also excellent and kept in constant communication with us and answered all of our questions promptly as I was getting better. After a few weeks, and, I am confident it is because of Robert was a big part of my healing process, I no longer needed 24 hour live-in care, and Robert came just a few times a week. I am now fully recovered, however if I need help in the future Assisting Hands will be the first people I call. My mother was dying from lung cancer and I was her only caregiver. She was still able to stand, but the last three weeks she needed me to do everything for her. She had me up most nights, and I was not getting any rest or sleep. Her Hospice referred me to Assisting Hands and I called them for help. I was finally able to get some sleep the nights that I had them there. Jennifer lived just down the road which made it more convenient, and the three caregivers I had were wonderful. My Mother who had been an RN was pleased with the care she got from them too. I knew that it was not going to be an easy choice when selecting a company to come to my home to care for my husband who is 91 and was being released from hospital and we needed around-the-clock help in early March of this year. 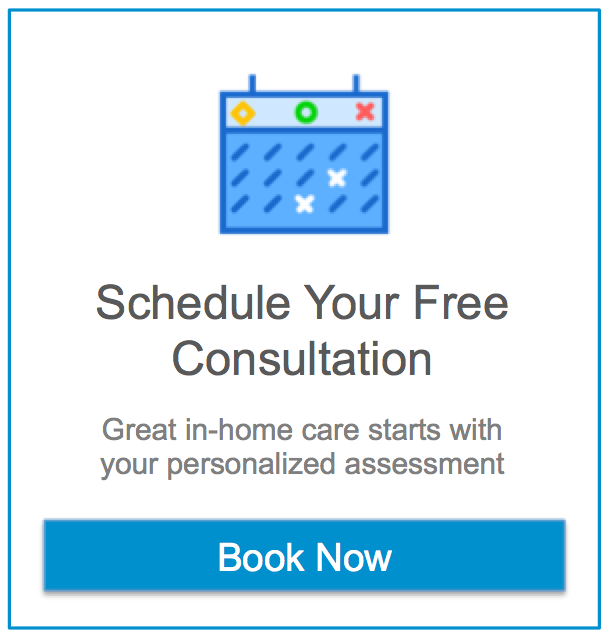 A friend who I trust, told me about Assisting Hands Home Care – San Diego, and said that they were new in the area but had heard good things, so I decided to call and have never been sorry. The whole team at AHRB were quick to fix things when there were some minor adjustments that needed to be made in the beginning and everything is working beautifully. It is positively unusual for so many Caregivers to be so good. All of our Caregivers are so very helpful and excellent at their job. We don’t require the amount of help and time that we did in the beginning, but we continue to have caregivers from Assisting Hands and are very content. I was very pleased with Jennifer, who came to my home to fill out the papers that would provide my father and I with extra help. She was friendly, efficient and helpful with the many, many questions I had about helping my father. Home care staff was scheduled to come, and I was looking forward to meeting them. However, my father declined so quickly that I needed to move him into a skilled nursing facility. Even after I no longer needed their services, Assisting Hands showed their helpful and caring ways. I have already recommended them to my friend who has parents in a retirement community, in case they (or she) needs some extra help. My mom moved in with my family about three months ago. When I first started looking for a home care agency I really only needed someone a few hours a week. My mom was so social with her friends and this was a huge adjustment to her. She went from playing cards with her friends several times a week to living with us. I needed a little bit of respite care and she needed a friend. In calling different agencies I quickly found that many agencies were high pressure and would only send out a caregiver for a minimum of 12 hours. They also made me feel guilty about how they needed to provide someone with a job and I would not find a quality person to fulfill the need of just a few hours a week. I definitely made the right decision in choosing Assisting Hands. This company is amazing. What I didn’t know when I first called assisting hands was that in a few short weeks my mom would decline so rapidly that I needed care overnight and during the day. One of the very best things about this company is their interactive approach with the client. Every single time they send someone new they check with me in advance, give me their background, and call me afterwards to make sure it went ok. Sometimes within minutes of the caregiver leaving. They really want to match you up with a good fit and it is very important to them. Nina, the owner, even delivered my mom flowers and pastries for mother’s day. The personal attention that they give is just amazing. Jane does all the scheduling and is very flexible about changes to our schedule and Jennifer still calls just to check on us. I really cannot say enough good things about Assisting Hands. It has been huge change for our family to go from a household with three kids and my husband to having my mom live with us and caregivers here almost round the clock and Assisting Hands has made that process very smooth. I feel very good about having these caregivers in my home with my family. My mom loves her caregivers and they treat her like a friend, not a patient. I definitely made the right choice and am grateful for them daily. Assisting Hands is fantastic. We had another agency that was un-reliable and told me I had too high of expectations when I complained that my client wasn’t getting the proper care. It was a nightmare! Assisting Hands provided me with excellent service and above all, CARING SERVICE. This agency has a very professional staff, and they do as their name states! I can finally sleep at night, knowing that my client is being properly cared for. Thank you Assisting Hands! A Special Thank You to the Staff at Assisting Hands! When my father’s caregiver was taken ill at 6:00 PM on a Sunday evening, I did not know what to do, who to call, or where to begin. I just knew I needed help and fast! My father was bedridden and under hospice care, requiring 24-hour care. I saw a card from Assisting Hands on my table and I called. With Nina’s help there was a skilled caregiver at my Dad’s home in an hour and half. I could not believe it! …And the care was equal to or better than what he was receiving. We continued to use the Agency, even after my Dad’s caregiver recovered. I highly recommend this agency. I would highly recommend Assisting Hands Home care! They are providing wonderful in home care for my elderly Dad who is on hospice home care, and also provide assistance to my elderly Mom in caring for my dad. It is a great relief to know that my parents are being well looked after. Everyone at the Assisting Hands Home Care staff – Jane, Nina & Jennifer – have all been so friendly and accommodating. What a relief! I am SO glad that we found Assisting Hands… We’ve needed help for my elderly parents for years, but they’ve been very resistant. Previous efforts to bring in home help didn’t go very well, but we are all thrilled with this program. When my parents met Nina they fell in love with her, and the rest of her staff is equally wonderful. They all understood just what we needed, assessed their needs perfectly, and provide both warm & reliable service. It’s rare to find this level of both professionalism and compassion – I cannot tell you what the peace of mind means to me, and how grateful I am to have people caring for my parents that I can trust like family. The leadership of this franchise personally worked with myself and my mom to ensure that the caregiver we ended up with was a good fit with my mom. Jackie, the caregiver for my mom, eventually became a great friend. She was terrific in every capacity. Jackie and the franchise leadership went above and beyond to help my mom out in very tough circumstances. I would highly recommend this franchise for anyone in need of care.